The revolution in digital computing has altogether changed the face of the entire economic system. Everyday new technologies are emerging in the market with promises to deliver multiple benefits to your business. The development of mobile application has become indispensable for every organization, in order to resist the ongoing fierce competition in the market. Apps are mainly responsible for altering the lifestyle of every individual around the globe. Mobilization has become the important constituent element of every application. 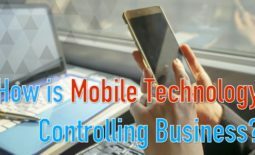 Enterprises have started to consider android and iPhone app, as lucrative revenue generating tool and a medium to provide better and effective customer services. Corporates around the world aim to expand their target audience base, with highly engaging mobile app that is fully compatible with various mobile operating systems. The market is puffed up with various mobile application development technologies that offer easy app development procedures for iOS, Android, Blackberry, Symbian and Windows mobile OS. 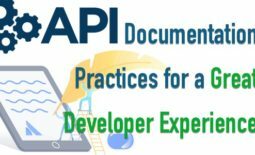 Many organizations experience hardness in selecting an apt mobile platform for their business app to execute on. Android established a special place in the market, with its power packed technical features that are purely business oriented. The level of simplicity involved in the Android Studio framework, helps developers to build apps with great ease. 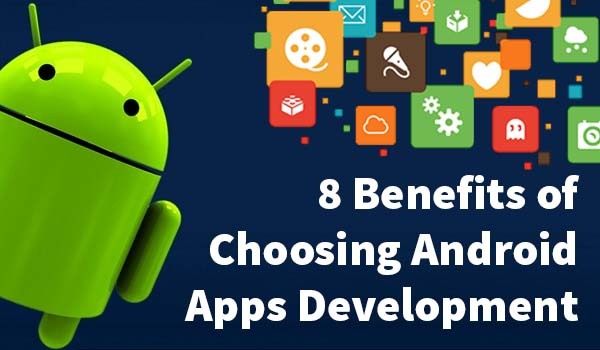 Let us have a look to some of the advantages to gain by choosing Android platform for your app development. Android is the easy channel to penetrate your business in the market. It is absolutely based on open source technology – meaning free availability, with its feature reached SDK (Software Development Kit). This two are the key factors highly responsible in declining the overall development and licensing cost. Developers are supposed to pay a single time registration fee for the entire product distribution. There are various framework available in the market to develop android apps. You just need to install the framework into your computer, to start writing the logical lines of codes for your app. It is possible to debug and test the being developed app on your mobile devices. All the convenient and robust characteristics of an android platform are due to its open-source nature. Open source nature means the source code of the Software Development Kit (SDK) is fully available for amendments as per the requirement of the developer. Various type of support options are available with the open source nature. Speedy development also stands as one of the prominent feature of the open source technology. Google Play Store the store house of all the android apps on the globe, proposes a list of uncomplicated policies, in order to host your app. The app hosting process is equal for both the start-ups and well-established organisations. Android apps provide high degree of customization as per the requirements of the organization. The domain of targeted customer base can be puffed up, through the development of dedicated apps that are meant to flourish your business to next level. You can easily integrate your app with the existing system, in order to cater the needs of your business. Android is recognised as the best mobile platform for inter-application and inter-process architecture. The success or failure of any application is totally dependent on the UI/UX of it. Designers are offered high level of extensibility in terms of designing in order to showcase their creativity skills. As per the research, apps with dull UI are the one that are immediately uninstalled by the users. Complex data management and facility to incorporate extensive multimedia features is what distinguish android from others. Lot of security related issues like hacks and malfunctioning were use to flash up, during the times when android use to be in its primary stage of development. To counteract this issues, Google came up with a address space layout, a protection shield from viruses and trojans. This made android as one of the secure mobile platform in the market. The dependency to launch your application on a single marketplace is eliminated, with an android platform. Android provides the facility to create your own sales and distribution channel for the market. The developers of an application have multiple list of options to reach the targeted customers through attractive promotional strategies. Java is the base language in which all the android apps are coded. This enables java developers to develop apps with less technical complexities. Only the primary prerequisite, to develop an app is a thorough knowledge of core Java to seamlessly convert the script into an highly interactive app. Rahim Makhani is the award winner CEO of Auxano Global Services – a web and mobile application development company. He is keenly interested in writing technical blogs pertaining to iPhone and android apps development. During his spare time, he loves to dive in the pool and enjoy playing golf with his friends.